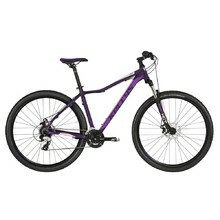 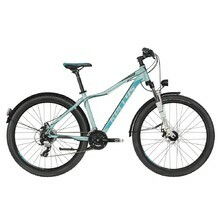 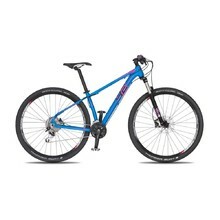 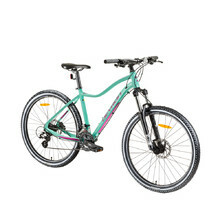 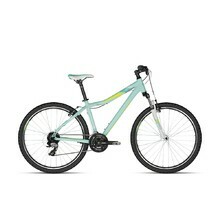 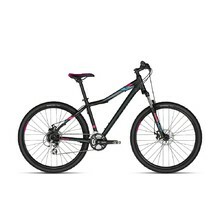 Women’s mountain bikes are one of the most used bike types in the Czech Republic. 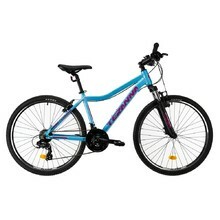 Their sturdy frame is made for easier steering, while the wheels are especially suitable for difficult terrain. 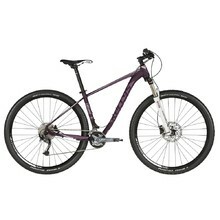 The frame geometry of women’s bikes is adjusted for more comfortable ride. 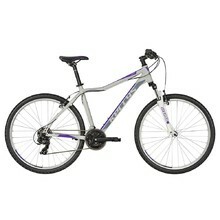 We offer bicycles from certified manufacturers, such as GALAXY, DHS, 4EVER and KELLYS. 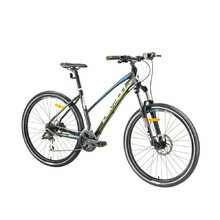 Aluminum frame, air suspension fork, disc brakes, Schwalbe tires, attractive design. 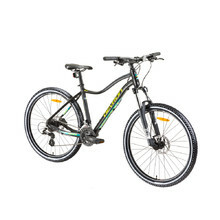 Aluminum frame, air suspension fork, disc brakes, attractive design.